Welcome to Hostel and Gran Kaffee De Passage. We have been listed number 1 in 'Let's Go' 13 years in a row. Recommended by' Rough Guide', 'Lonely Planet', 'Frommers' and 'Guide du Routard'. 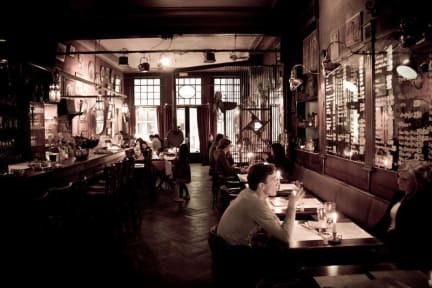 Passage is the place to be...for it's character, personality, wonderful cosmopolitan atmosphere and typical Belgian Cuisine. 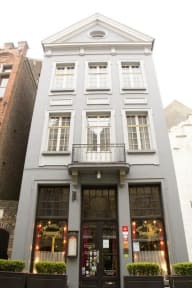 We are also Bruges' most central Hostel. All rooms were recently renovated. A stay at the Passage will give you the impression of travelling through time. That's the spirit.